We haven’t posted a review of a Spectral publication for a while, so to rectify that let’s tell you about the latest one we’ve found on the internet – Dread Central’s review of Gary Fry’s The Respectable Face of Tyranny, the launch title in the Spectral Visions line of novellas. You can read their evaluation of Mr Fry’s cosmic horror tale here. 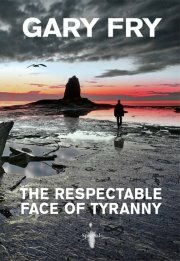 Despite any impression the title of this blog entry may give you, this latest review of Gary Fry’s The Respectable Face of Tyranny is actually a very good one. The Horrifically Horrifying Horror Blog is the brainchild of Emma Audsley and Shaun Hamilton, and is entirely devoted to our favourite literary genre. This particular review was written by Gary Swindley, to whom many thanks – to see what he thought of this Lovecraftian tome, please click here. This week ends on something of a high note (even better considering that there’s been a bout of illness at Spectral Towers), with notice of two new reviews over on Gef Fox’s Wag the Fox blog, of Gary Fry’s The Respectable Face of Tyranny and Alison Littlewood’s chapbook The Eyes of Water. It’s all part of his ‘Summer of Shorts’ season, featuring reviews and interviews posted during the month of July. We’ve been informed that an interview Gef conducted recently with Spectral’s Simon Marshall-Jones will be posted on the same site today, so please look out for that later. In the meantime, go here to read Gef’s assessment of the two books. Yes, today we announce the winner of the recent competition for purchasers of the paperback edition to win a signed proof-sheet of the cover to Gary Fry’s The Respectable Face of Tyranny . And that winner is…. Congratulations to Stephen – we’ll get your prize out to you very soon! Alison Littlewood’s chapbook The Eyes of Water is now ready for collection at the printers, so subscribers should expect their copies to arrive within the next couple of weeks. 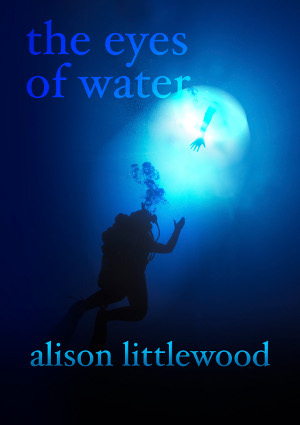 And so, here we have yet another new review of Spectral’s latest chapbook, The Eyes of Water by bestselling author Alison Littlewood (A Cold Season). This one’s from the British Fantasy Society website, and written by Glen Mehn – you can read what he thought of it here. The competition to win a signed proof-sheet of the cover to Gary Fry’s The Respectable Face of Tyranny has now closed – the winner will be announced next week. Thanks to everyone who bought a paperback copy of the novella! Here, for your enlightenment, is notice of the latest review of Gary Fry’s Spectral Visions novella, The Respectable Face of Tyranny. It’s been posted to the British Fantasy Society’s website and written by Katy O’Dowd. You can pop over here to see what she thought about it. EDIT: paperbacks are still available direct from us at Spectral – Paypal buttons below (if you want to pay by either cheque or bank transfer, email us on spectralpress[AT]gmail[DOT]com for more details). To read read the rest of the review, please click here. Secondly, the cover to John Llewellyn Probert’s magnum opus, The Nine Deaths of Dr. Valentine, is currently being put together by JD Busch – preliminary sketches should be with us soon and then will come the exciting process of turning it into a fabulous cover image. We can’t wait to see what JD comes up with, but his ideas so far are definitely in tune with what we had in mind. There’s also a new Amazon review of the novella courtesy of Gef Fox (Wag The Fox), which you can find here. In the New Year (yes, we plan that far ahead), the print run of each chapbook will increase to 125 to allow more people to acquaint themselves with both the chapbooks and the imprint, as well as get to know the work of some of the best authors out there. However, subscriptions to the chapbooks will be increasing in January, too, due to increased postage costs: they are still available at the old price, from Volume VIII onwards, until the end of this year – so take advantage by ordering a subscription now to save some money before the price rise (includes resubscribers). A word about the future: we here at Spectral Towers are mooting the possibility of increasing the number of chapbook issues to six per year, ie from quarterly to one every two months. This is JUST a possibility at present and an idea we’re throwing around: one of the reasons we’re thinking this way, however, is the fact that we have many wonderful authors lined up to appear in chapbooks and this would be one way of reducing the waiting time for them. We are envisaging, however, that it won’t be happening before the March 2014 issue, Volume XIII, at the earliest. Comments are more than welcome upon the subject – nay, are actively encouraged. There are a couple of other exciting developments in the initial planning stages, but we’re keeping those under wraps for later in the year until we’ve fleshed them out more fully. We here at Spectral are confident that the imprint has a good future ahead of it, and we certainly intend on keeping moving forward, albeit at a comfortable pace and without overstretching things. We sincerely hope that you’ll be here to share that future with us. The new deadline is now MAY 31st 2012.